Buzz For Cheap and Compact iPad Mini !! ~ Tech Charisma--Your Own Technical Hub. Buzz For Cheap and Compact iPad Mini !! 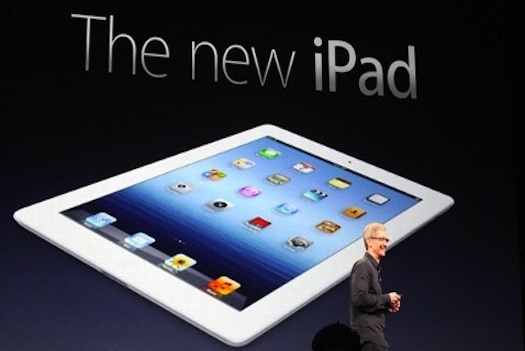 There has Been Hot buzz in The Tech Market That Apple May Launch a New Variant of iPad being Termed as Apple Mini Soon . It is Expected to Arrive in the Market In The Next Quarter and Before September . 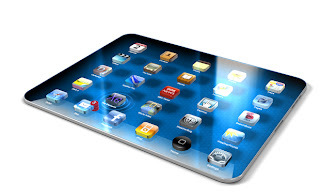 It Was Previously Expected That Apple May Release an Ultra Thin and Light iPad But Instead Apple Launched iPad HD , Featuring a retina Display and a Better and a Faster Processor . Quotation from Apple For the Manufacturing of About 6 Million 7.8" Tablet Displays . And This Can Be than Concluded That Apple is Soon Going to Launch a New Variant of iPad Soon , Called iPAd Mini . It Will be Priced About Rs 250$ (Rs 13000) to 300 $ (Rs 15000) . Well That Looks Like a Very Good Step to the Third Generation of Tablets and Surely It Will Help The Tablet Market To be Available to Consumers of all Segments . So Stay Tuned With Us and Till Than Dream of this New Cool and Cheap iPad from World's Best Tablet Manufacturer -- Apple !! Also See Our Featured Post -- Next iPhone , The Ultimate ! !